Tottenham Hotspur put Tranmere Rovers to the sword on Friday night in a 7-0 victory to progress to the FA Cup fourth round. 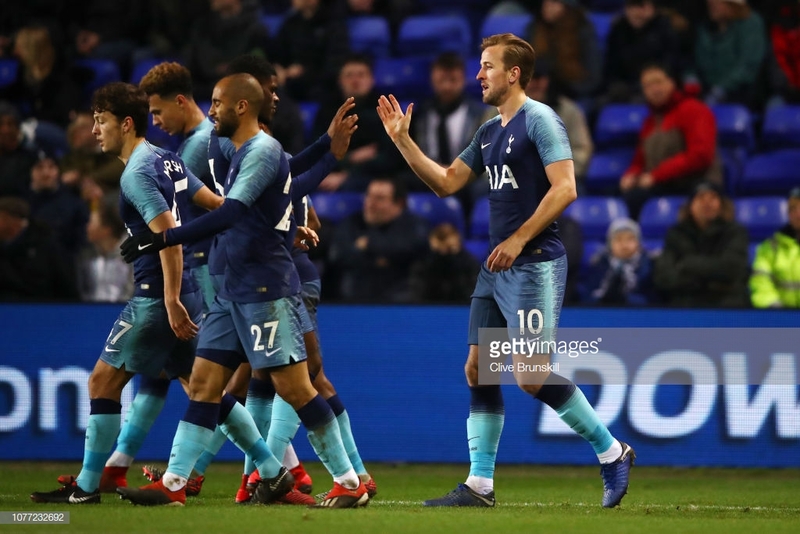 Another superb Spurs showing saw them run riot as they now take their 2019 goal tally to 10 in just two games. It was a heavily rotated starting XI from Mauricio Pochettino which paid off as it saw a mixture of youth and experience combine in an impressive display. Fernando Llorente's Tottenham future is currently under scrutiny as the Spaniard believes he is not getting enough game time. However, the former Swansea striker certainly impressed on Friday night as he bagged himself a hat-trick against the League Two side. The second-half hat-trick was the 33-year-old's first time hitting the back of the net since the Carabao Cup victory away to West Ham in October. No matter where Llorente's futures lies, it was a clinical and professional display from the experienced striker which will certainly have impressed the manager. The mixed up squad offered some of the key players a well-earned rest after a busy December schedule but Spurs still looked their normal self despite the changes. The Lilywhites were only one goal ahead at the break but a scintillating second-half performance saw the north Londoners net six times. Heung-min Son continued his fantastic form in front of goal to grab his second of the new year. Last season the Lilywhites almost slipped up against lower opposition in the FA Cup but lessons were clearly learned from their past mistakes. A ruthless Spurs put the game to bed early into the second period and from there on showed their class as they began to flex their muscle. Even with just 15 minutes to go, Spurs were cruising at 6-0 up and Pochettino introduced Harry Kane who, of course, went on to grab himself a goal. Good chance of a trophy? It is well publicised that Spurs have not won a major trophy in over 10 years now and the wait is only becoming more painful for the Spurs fans. Spurs are well within the runnings for the Premier League still and are even in the semi-finals of the Carabao Cup but can they go on to lift the FA Cup. The FA Cup is known for it's 'magic' and a few giant killings along the way would favour Spurs as the competition gets to the nitty gritty stages.